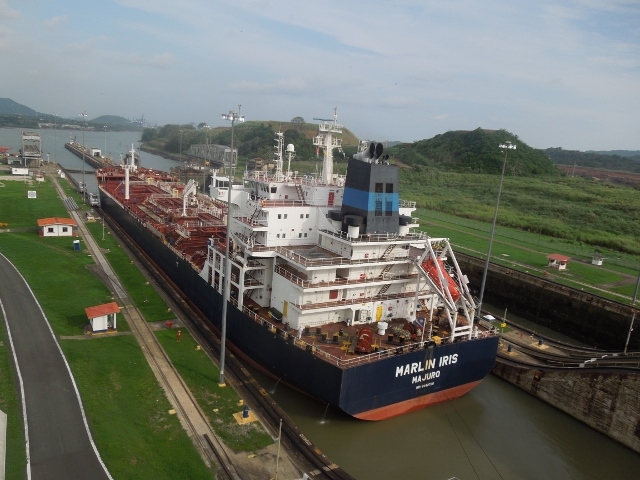 Celebrating its centenary in 2014, the Panama Canal is regarded as a wonder of the modern world. Billions of pounds of shipping commerce pass through the jungle-flanked 80 km waterway each year, but it was almost never completed. Its construction faced a huge barrier, but this wasn’t the mountains that needed to be felled to create it, this barrier was entomological. In 1881 the French began construction of a sea-level passage connecting the Atlantic and Pacific Oceans removing the need to arduously traverse South America. But this project was high risk. 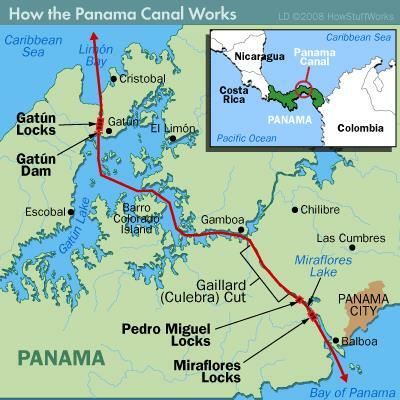 A trade route spanning Panama had been the ruin of many ambitious Spanish colonists in the 16th century in addition to being implicated in the economic collapse and subsequent seceding of the Kingdom of Scotland to form Great Britain in 1707. Failed attempts leave notable traces such as ‘Port Scotland’ and ‘New Edinburgh’ on Panama’s coast today. Disease, and more importantly a lack of knowledge of mosquito-borne transmission, was the reason the French were to suffer the same fate as many before them. Of the tens of thousands of workers constructing the French canal, over 85% were hospitalised and 22,000 died primarily due to Yellow Fever. This mosquito-borne viral disease causes terrible symptoms including internal bleeding and jaundice (from which the disease gets its name). Any whisper of a visit from ‘Yellow Jack’ to town would send workers fleeing for their lives, and attempts to draw in new workers even at enormously raised pay were unsuccessful. Whilst Malaria was also hospitalising thousands, its lower mortality rate did not strike such fear into the populace as its viral counterpart. After nearly two decades of hard labour and $287million of investment, the canal project was ceased in 1889. Without the human task force to continue and monetary resources drained, the disease had effectively paralyzed the French construction effort, leaving the United States to purchase the development rights from the now bankrupt French party for a fraction of the cost. 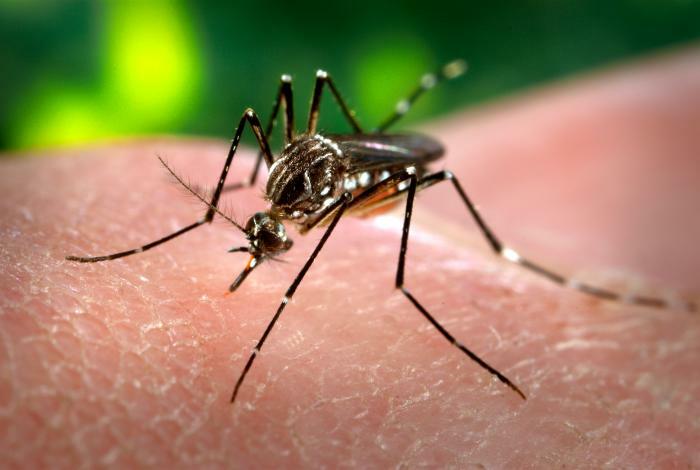 The United States were to succeed where many had failed thanks to a handful of brilliant scientists proving the cause of Yellow Fever transmission as the Mosquito, Aedes aegypti. The workers and engineers still viewed miasma theory (‘bad air’), foul tropical soils, and direct contact with infected persons as the causes of the disease. This lack of knowledge of its entomological transmission route in fact resulted in many disastrous decisions facilitating the disease to spread. For instance, hospital wards in which the afflicted were treated were routinely kept with wide open windows, meaning mosquitos were free to enter, feast upon infected inpatients, and disperse freely to blight the healthy. Even worse, potted plants brought in to improve aesthetics provided females with pools of standing water: a perfect habitat in which to lay their eggs. The French were effectively culturing the disease in the very rooms in which the sick were being treated! It was US army physician Major Walter Reed who finally demonstrated unequivocally thatAedes aegypti was the vector of the virus, building on the ‘mosquito hypothesis’ proposed by Cuban scientist Carlos Finlay in 1881. This was achieved through an ethically questionable, but simple experiment. A newly emerged A. aegypti mosquito was taken by Reed, allowed to feed on a suffering patient, and then transferred – voluntarily – to his friends and co-workers. When they became sick with Yellow Fever days later (but thankfully surviving) the breakthrough had been made. The Americans now knew how to succeed where the French had failed. 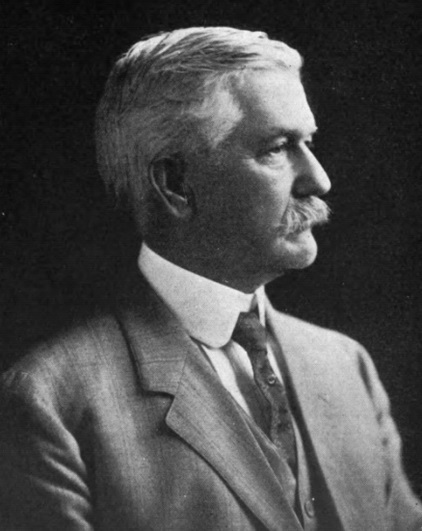 In 1904 one man, US Chief Sanitary Officer, Dr William Gorgas, was charged with the seemingly impossible task of eradicating Yellow Fever carrying mosquitos from nearly 500 square miles of canal-zone jungle. 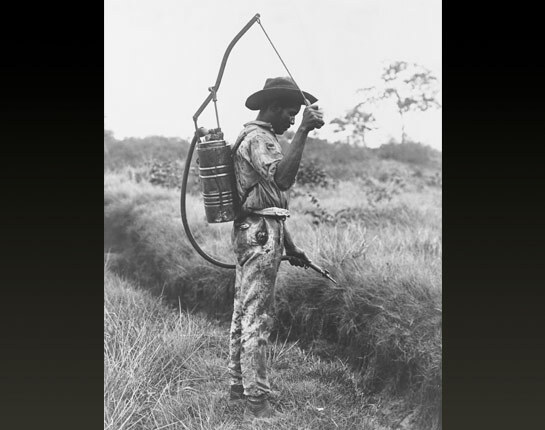 Gorgas unleashed a formidable eradication campaign with 4,000 workers in ‘mosquito brigades’ working yearlong to tackle the mosquito population. Houses were sprayed with insecticide, mesh windows and doors were fitted to prevent adult’s entrance, and standing pools of water were filled to prevent egg laying. In total, 120 tons of pyrethrum insecticide powder along with 300 tons of sulphur and 600,000 gallons of oil were deployed in mass fumigations across urban and field locations. However, Gorgas did it. New cases of Yellow Fever plummeted to single figures by the end of the programme’s first year. After November 1906, there were to be no further deaths from the disease. With yellow fever eradicated and malaria vastly reduced, the barrier of disease had been removed and the Panama Canal was completed in 1914. Detailed understanding of the organism transmitting the disease was key to America’s success. Mosquito borne diseases, such as malaria and dengue fever, still claim hundreds of thousands of lives each year, and just as a century ago in Central America, entomological knowledge remains essential to our victory in this battle. Chris Jeffs works at the University of Oxford on the effect of climate change on insect communities across mountain ranges in the tropical forests of northern Queensland, Australia. You can follow Chris on Twitter @CTJeffs.